Some developers and manufacturers believe that Android 3.1 tablets will rival the iPad 2. The CEO of Nvidia, a leading graphics chip maker told Reuters today that he believes newer Android-based tablet PCs will overtake the Apple iPad, current market leader and popularizer of the little gadgets. Jen-Hsun Huang (Nvidia's CEO) said that with the Google releasing an improved version of their mobile software, the developers of apps will swing towards Android and help create a truly viable iPad alternative with a growing selection of tablet applications available. Manufacturers mostly blame the lack of applications available for Android-based as the reason why growth has been so slow. The huge catalogue of software for Android 2 was originally thought to be a blessing for Android 3.1 "Honeycomb"-based tablets but many have figured out that most are incompatible. Many experiences with early tablets running Android like the Motorola Xoom were poor. Few in the first batch actually saw any thumbs up with complaints of crashing, lack of usability and a highly incompatible list of apps on the Android Market. When testing the Galaxy Tab 10.1 which runs the newer Honeycomb operating system, many at Google's I/O conference gave much more positive reviews. "The first generation of tablets initially came out from our carriers and with 3G, and I think that is recognized that the vast majority of tablet users are actually buying it from retail and Wi-Fi only," said Huang. The Apple devices are aggressively priced to sell with Wi-Fi, a cheaper alternative to 3G connectivity. Huang believes that the issues with the first generation Android tablets will be corrected in upcoming launches, considering pre-Android 3 tablets were actually running software designed for relatively smaller handheld smartphones. Last year was a different story when nobody was convinced of a growing Android market share in tablets. 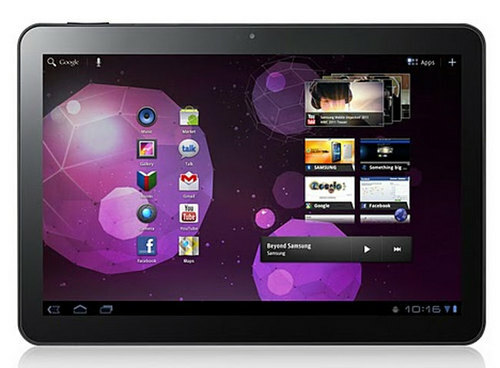 Android 3.1 "Honeycomb" tablets which are worthy contenders to the iPad are expected to hit the market in the second half of 2011. Since there's still some time for developers to create more applications in the meantime, the reviews are probably going to improve. The new Galaxy Tab, for example, will be available in the US on 8 June 2011. 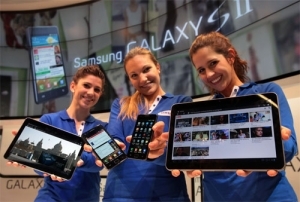 No word yet on when they will be available in Canada, but the Galaxy Tab 10.1 would work on Rogers, Bell and Telus HSPA+. More affordable tablets, a better selection of software and clearer, more vivid TFT screens and you're got yourself a viable competitor to iPad.